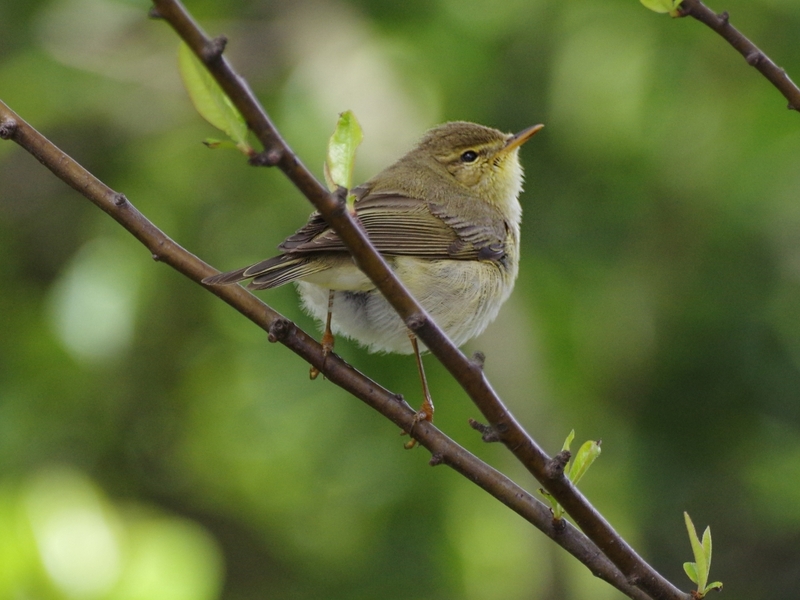 A Willow Warbler sang a couple of phrases in a tree at the northwest corner of the bridge, the first one I've seen this year. 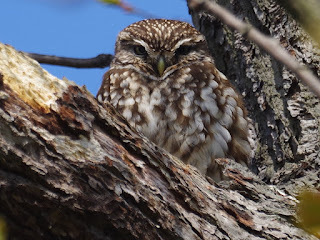 They are usually near the bridge on the north side of the lake. 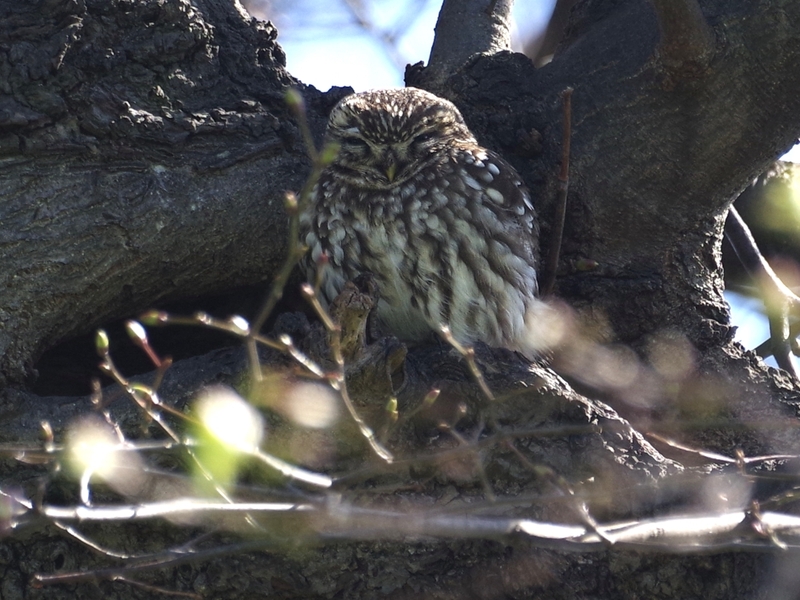 There was also a Reed Warbler singing in a tree at the northeast corner, but it remained invisible. So I took this rather uninteresting shot of a Honeybee on blossom to get a recording of the song. You can also hear a couple of phrases of the much more melodious song of a Blackbird. 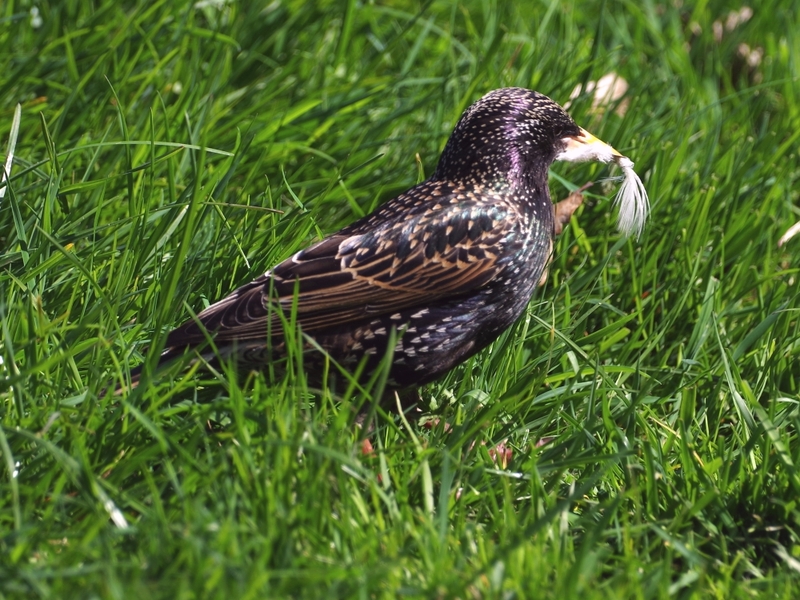 A Starling picked up a feather to take to its nest under the eaves of the shelter at the bottom of Buck Hill. A Pied Wagtail hunted along the shore of the Serpentine, taking no notice of the people walking by. 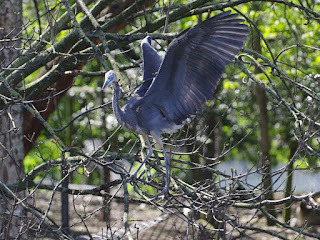 They only fly away if they see you looking at them, so you have to feign inattention to get near. There was a Little Owl again on one of the two oak trees near the Albert Memorial that the pair currently favour. 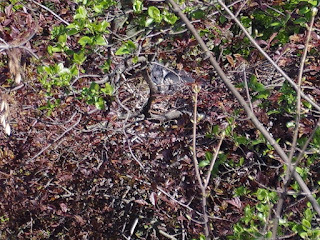 The owl in the lime tree near the Henry Moore sculpture was also out, but she is getting harder to photograph as the leaves come out and block the view, and this picture had to be taken from an awkward distance. 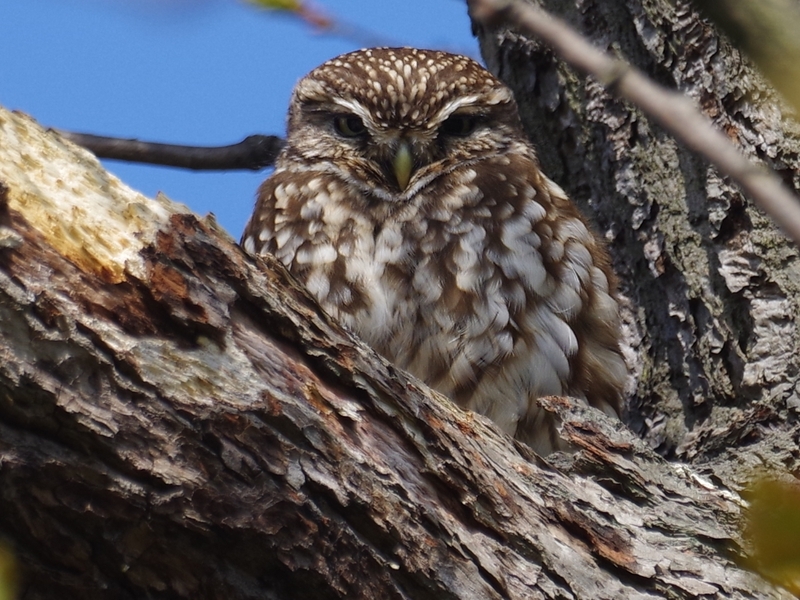 ... and then flew up on to a low branch. 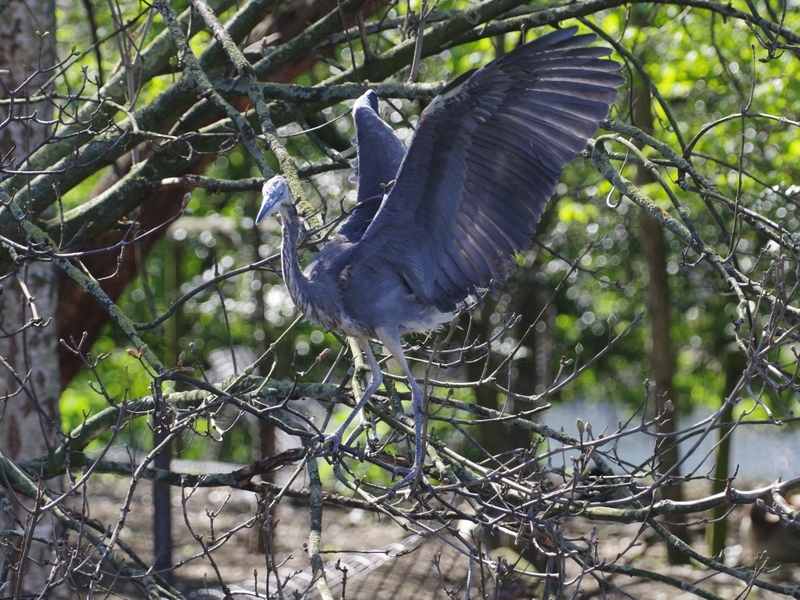 Its landings are still rather uncertain, and it doesn't have the pinpoint flying technique of an adult. 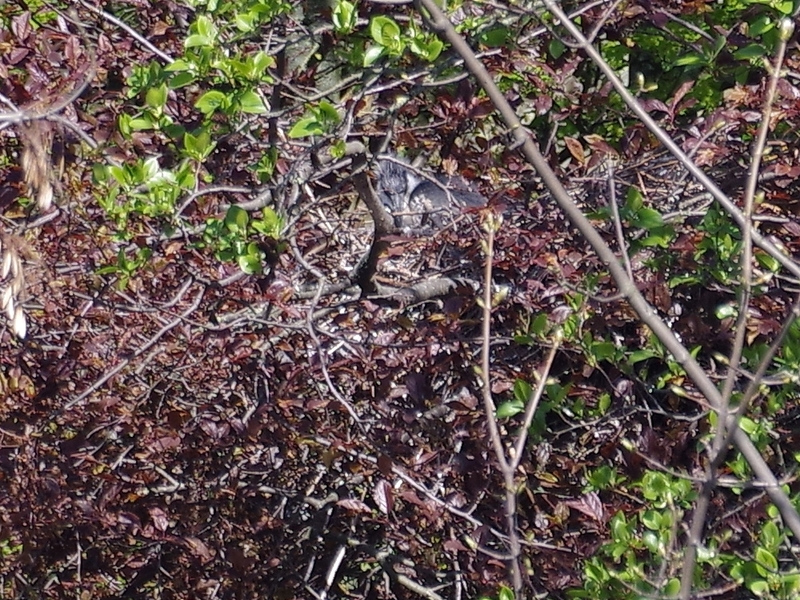 The head of one heron chick can just be seen in this distant picture of the nest on the south side of the island, taken from across the lake. 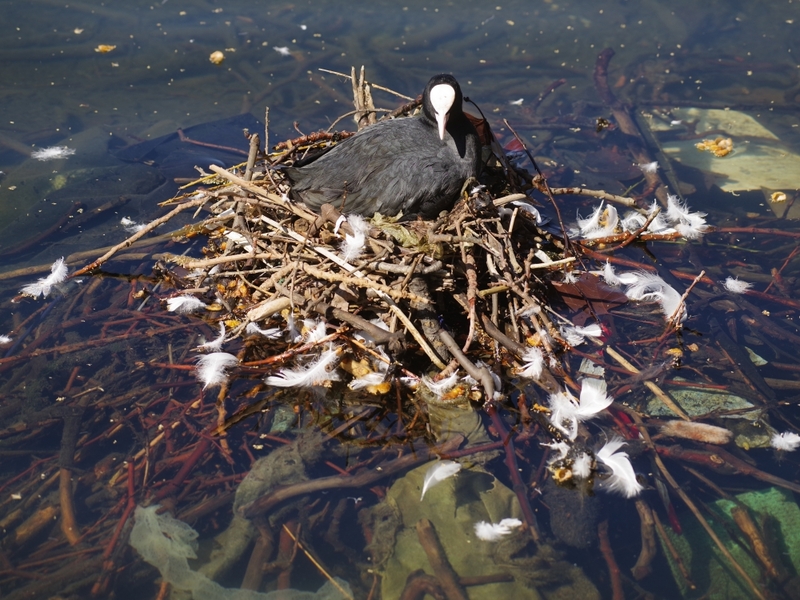 The Coots' nest at the Dell restaurant is now an impressive structure based on a great pile of waterlogged branches collected and put in place in a few days. It includes plenty of found objects such as sponge cloths and menu cards. 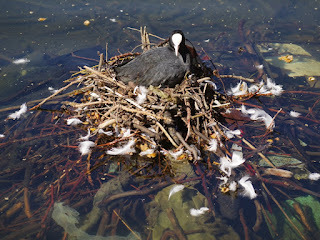 But it isn't highly decorated, unlike some Coot nests. 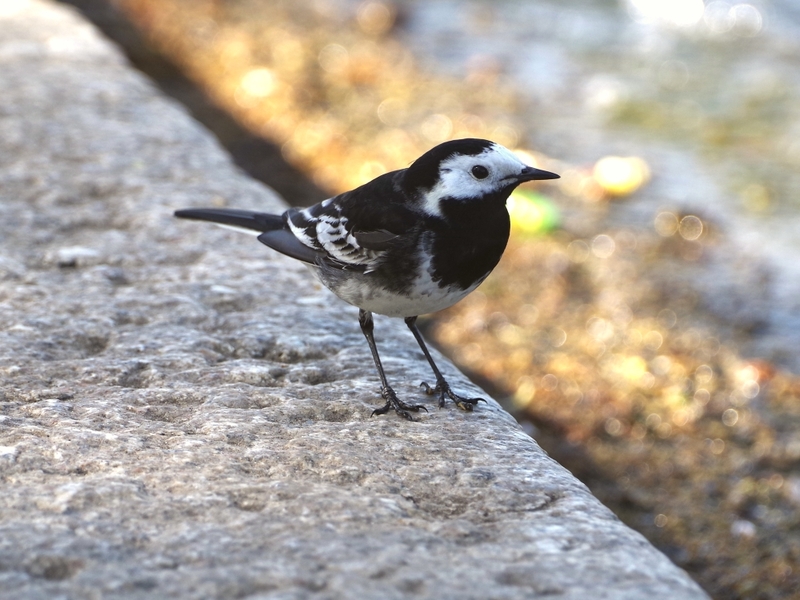 The white feathers have simply drifted in from the Mute Swans preening on the edge of the restaurant terrace. 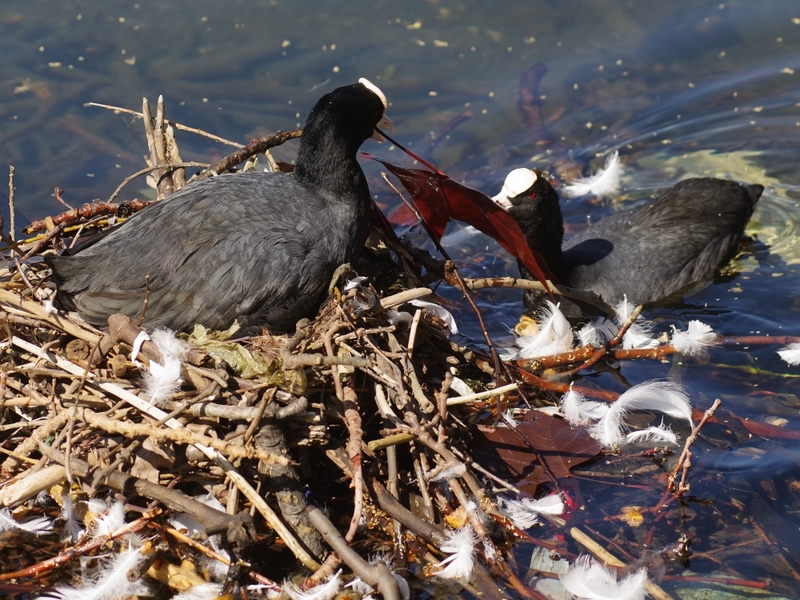 Nevertheless, the sitting Coot accepted a pretty red leaf from its mate. A Gadwall drake tried to impress his mate by shooing away a Mandarin drake. 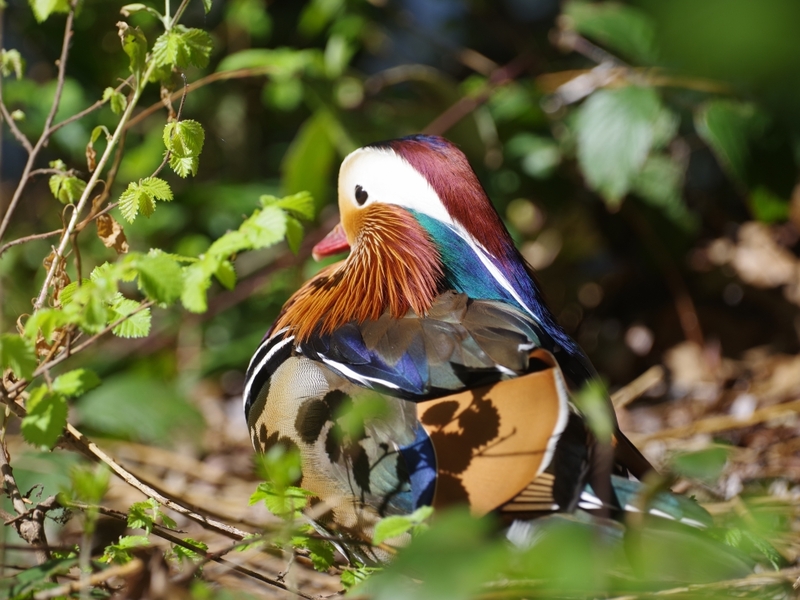 The Mandarin, though smaller, wouldn't budge, and it was the Gadwall that had to retreat. 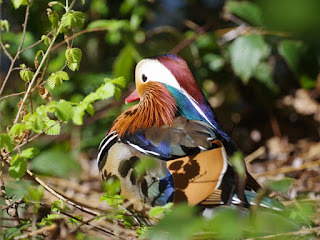 Another Mandarin drake reclined comfortably on the bank next to the bridge. It's not just the forgetfulness of the mother that causes the high mortality of Egyptian goslings. The goslings themselves have a fatal tendency to wander off and scurry along the shore, where they are all too easy a prey for gulls and other predators. 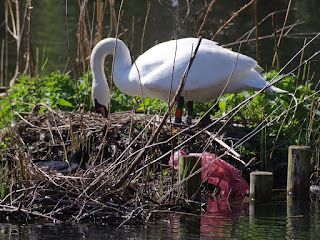 The Mute Swan nesting on the little island on the Long Water turned over her eggs. 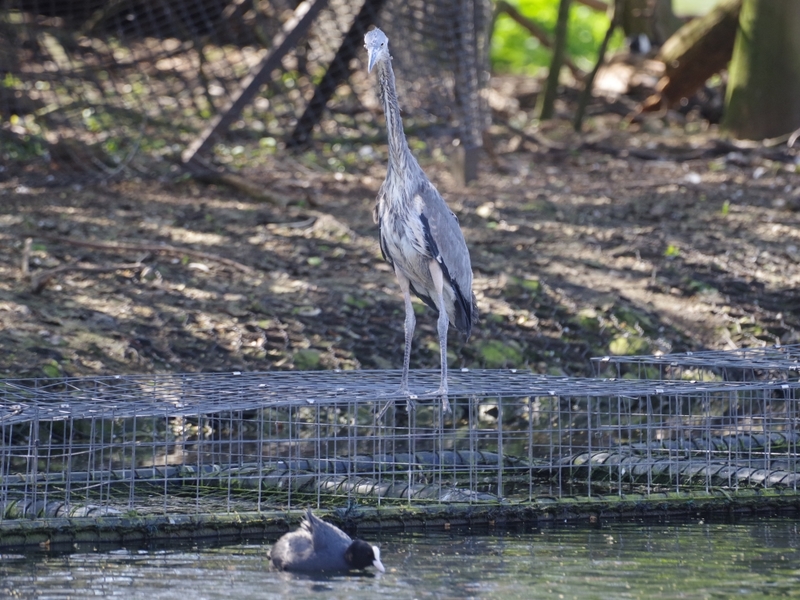 Ian Young visited St James's Park yesterday and found the single surviving Black cygnet. 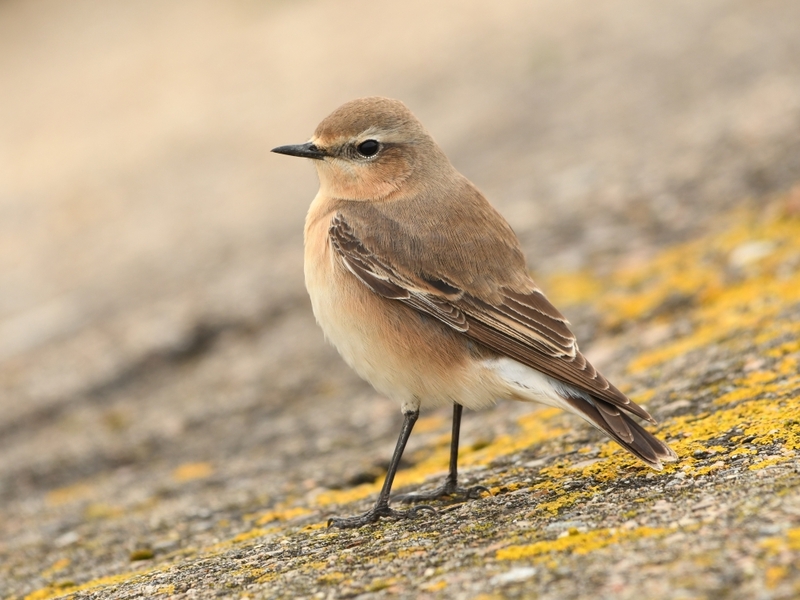 Another picture from yesterday's expedition to Rainham Marshes, a fine shot of a female Wheatear by Tom. 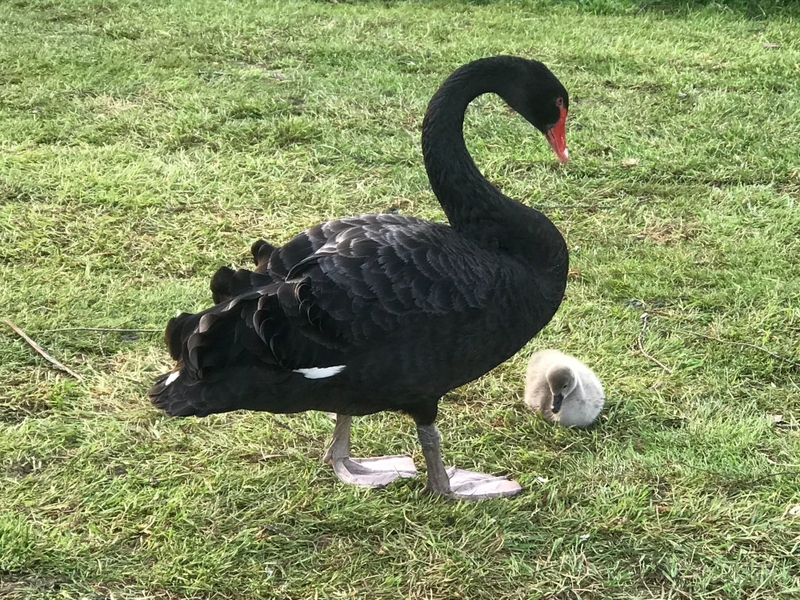 The cygnet is growing fast... 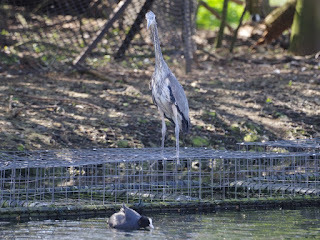 I bet it will soon be out of harm's way, unless it comes from a dog? I wonder how Egyptians managed to conquer two continents, considering that they pay little to no heed to personal safety. Poor Godwall. Foisted by its own petard. Love the clip of the bee and the willow warbler's song! 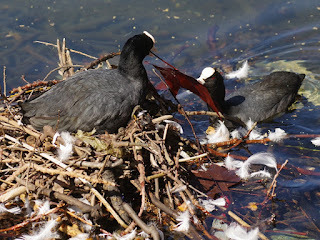 Egyptians are inattentive parents and have irresponsible young, which sounds as if they were due for extinction, but they overcome it by being extremely fertile, able to breed three times a year and produce ten or more goslings each time. 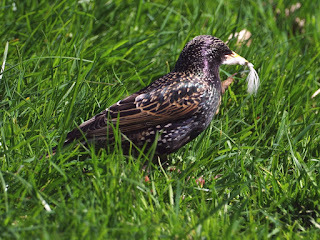 Nevertheless their numbers in the park are falling after an initial quick rise -- they only arrived here 17 years ago -- and I put this down to the rapidly rising population of Herring Gulls from the hatching ground on flat roofs in Paddington. Dogs are a risk in St James’s Park. 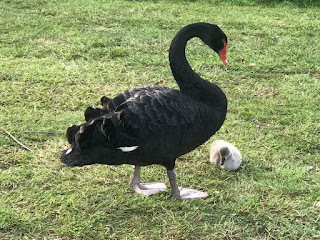 They’re not allowed off-lead on the path round the lake, but I had to speak to someone who had kept their dog off the leads just by some Egyptian goslings. Luckily it didn’t attack them. 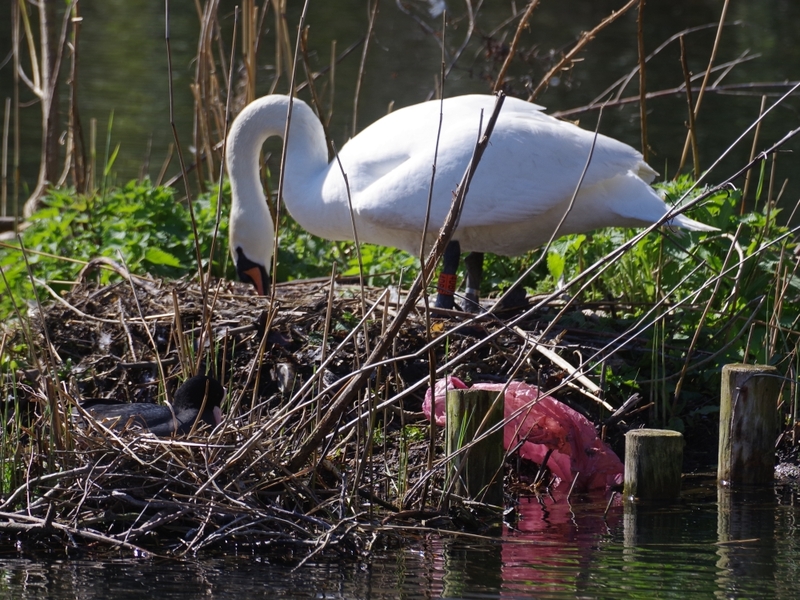 The cygnet’s location is a little more secure and the parents keep a close eye on it. Dogs are probably even more of a risk here. They are not allowed off the lead here near water either, but there are hundreds of idiots who ignore the rules, and dog attacks on the wildlife occur hourly and there is a fatality every few days. With so few police it's impossible to enforce compliance.